You know that age-old saying: how long is a piece of string? Choosing the best static rope for rappelling feels a little like that. A static rope is just that, a rope that is static and doesn’t stretch. They all look identical, have almost the same features and strength ratings, and do the same job. 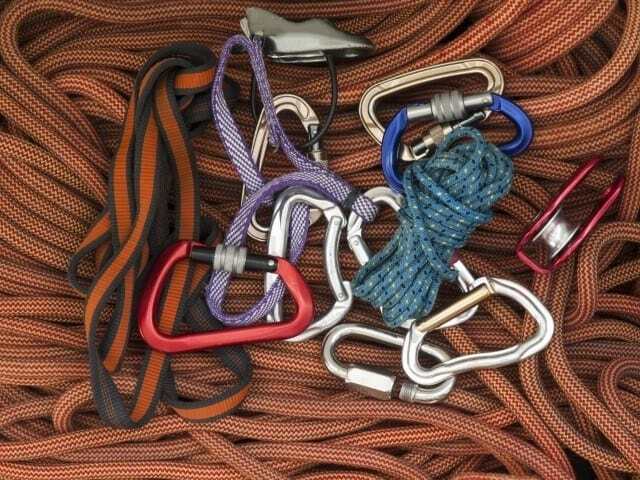 ​So what is the best rope for rappelling? For me, it's the​ ​ BlueWater Ropes BWII+. 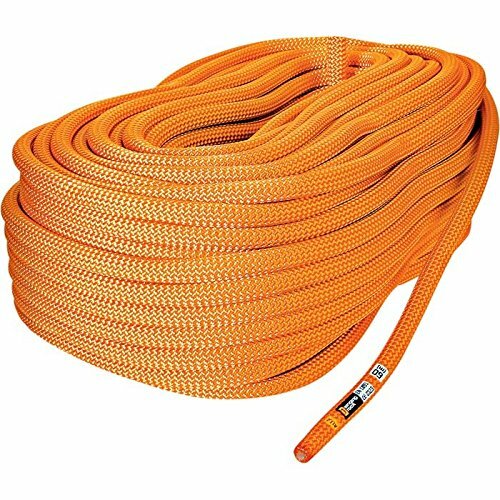 This static rope is light and strong, has a ​low stretch rate and a great variety o​f diameters to choose from, which makes it the ideal rope for rappelling. What is a static rope and what is it used for? What is a static rope made of? What size rope is best for rappelling? How are the strengths of static ropes tested? The ​ BlueWater Ropes BWII+ static rope has been praised as the king of the static ropes for quite a while now. 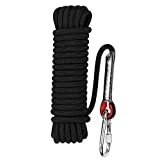 It is made up of a double twist cable nylon core and braided polyester sheath, and is designed primarily as a caving, rappelling and rescue rope. The BWII+ comes in one color, white with blue lines, multiple lengths and sits right around the middle of the price range. If I were to go out and purchase a static rope right now, this is the one I would choose. Technically, the ​ BlueWater AssaultLine is specifically designed as a low visibility static rope for military and police use. Rappelling out of an Apache, anyone? 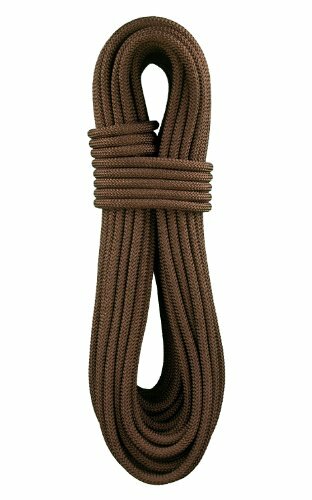 The guts of this rope are all the same as the BWII+, but this one comes in black or brown. It sits ever so slightly cheaper than the BWII+ and comes in only the 11.4 mm. What stands out about this rope is that there are two versions of it - the regular AssaultLine, and the Technora AssaultLine. The Technora Assaultline version includes a cut and abrasion resistant aramid sheath, and is by far the least stretchy (1.5%) and has the highest tensile strength (40 kN) of any static rope I’ve seen. These features come at an extra cost. ​Sterling Rope​ is a premium rope manufacturer, which has a good reputation in the vertical world to have good quality, long lasting gear. The ​ SuperStatic2 is a durable, 100% nylon static rope, which comes in a good range of sizes and is reasonably light and strong. 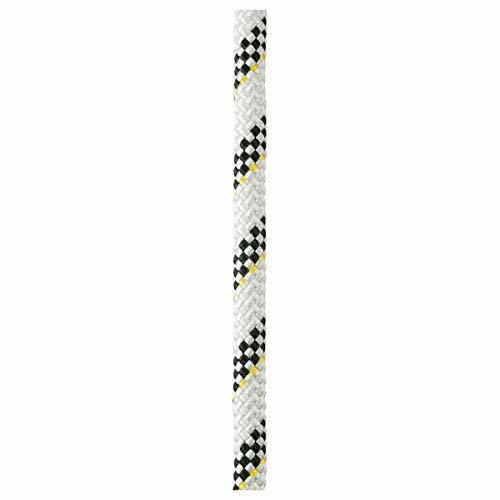 It has a slightly higher stretch rate than other static ropes, but feels good in the hand, and allows for smooth tying and untying of knots. It sits smack bang in the middle of the price range and is made in the USA. The ​ Vector is Petzl’s wide diameter workhorse static rope. It is made up of a nylon core and a polyester sheath, weaved in a specific way that prevents mud, dirt and dust from penetrating through to the core. The Vector is in the higher price range and is designed to be durable and move smoothly with heavy loads. While there are ropes that are lighter and stronger, the Vector sheath is its selling point, staying smooth and flexible, even with long term use. 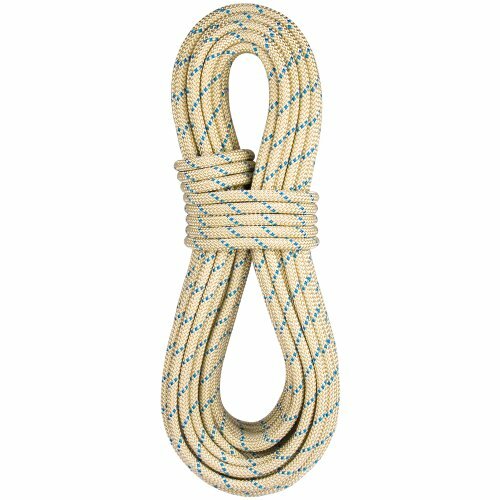 The ​ Singing Rock R44 static rope is an inexpensive, entry-level rope with good strength for its weight. The sheath of the R44 static is very thick and feels quite soft. I have used this rope personally, and it showed signs of wear and fuzziness on the sheath after a week of commercial guiding use. This rope may be great for very occasional use, on rappels where a long hike in is a factor and its low weight can shine. What is a ​Static Rope and What is it Used For? A static rope is a specific type of rope, which is designed to have little to no stretch or elongation. This means that if the rope is hung vertically, and a weight is added to one end, the rope won’t stretch or elongate as a result of the weight being added. This is opposite to dynamic rope, which is designed specifically to stretch, often at the rate of around 8%. Static ropes are used for vertical applications that do not require, nor want any stretch from the rope. This can include rappelling, caving, gear hauling, rope rescues and rope access work. Any time someone or something will be hanging on the rope, or ascending the rope, a static rope is by far the most efficient choice. Any time a climber will take a fall, a dynamic rope should be used. This means, for anything rock climbing related, dynamic should be the way to go. For example, one day I was at the sport climbing mega cliff that is White Mountain in Yangshuo, China. A friend of mine, he was getting on his project: this steep, beautiful, hard line on the far left of the cliff. I decided to come along and take some pictures. I’d hang a rope from the anchor, then ascend the rope and sit there, just above the crux, and take some photos of him pulling the hard moves. We had forgotten to bring a static rope, so we used the dynamic we had lying around at the crag, instead. I geared up and attached myself to the rope. Now the rope I was to ascend, being a dynamic, was very stretchy - and with each arm’s length of rope I pulled down on with my ascended and through my Gri Gri, I wasn’t going anywhere. This is because of the rope stretch. I probably pulled a good 5 or 6 meters of rope before I even left the ground! If this had been a static rope, I would have been already up there, in position. What is a ​Static Rope Made Of? A static rope is made up of two main parts: the core and the sheath. The core is the ‘core’ or the center of the rope - it’s the part that takes almost the entire load, and is white in color. The sheath is the outer part, protecting the core from wear, abrasion and damage, and can be any color. The making of a rope takes place in multiple stages. First, several filaments are combined to form yarn. That yarn is then taken, and usually treated with some form of waterproofing, then braided together to form thicker white strands, which are sort of thin ‘mini’ ropes. As around 12 of those strands are braided together to form a rope, other colored yarn is tightly braided around the core to form the sheath. Each strand of a rope’s core can hold a static weight of around 100 kg. ​One thing that makes the choice so tricky is if the rope is really performing well. Not too much stretch, you’re not bouncing on the way down, the rope moves smoothly through your device and will easily tie and untie knots - you’ll barely notice it’s there. It’s hard to choose something when the goal is for it to basically be unnoticed. It goes without saying; you absolutely must, MUST, trust your gear. If you know beyond a shadow of a doubt that your gear is safe, the vertical world goes from this scary, intimidating place to an unbelievably fun and exciting place. This is why I will always choose gear made by a manufacturer I know, that is well known, and has a good reputation in the vertical realm. 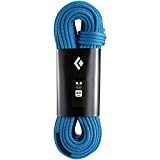 When I’m choosing a rope for rappelling - a static rope, it may be surprising that very rarely is the strength rating of the rope a deciding factor. Note: I’ve been asked several times before if I can rappel with a dynamic rope, which I’ve answered here. With any modern rope, the amount of weight it can take is far beyond anything I could ever throw at it in an average rappelling or hauling situation. Instead, what I look for is build quality, a balance between weight, durability and elongation. I’ll choose the length I need based on the longest rappel I’m likely to do, then I’ll choose a rope diameter. I’ll always go for a static line around 10 mm. I find these are a good compromise of durability and weight. A rope that is much thinner will be lighter, but also less durable because it is very thin. A rope that is much thicker will be more durable, but heavier. With any length or diameter static rope, I’ll be looking for an elongation rate of no more than 4% with a 300 lb weight. The lower the elongation rate, the better. What ​Rope Size is Best for Rappelling? As far as length goes, choose a rope that is long enough for the longest rappel you’re likely to do. You can check inside any guide books of areas you might be setting up rappels, to ensure you get a rope that is sufficient for everything you want to rappel in the area. As for diameter, check the specifications on the device you’ll be using to rappel, and choose a rope that sits between those specified sizes. Another thing to consider, regarding the diameter, is if you will be using your rope often, say, a couple of times a week, and don’t need to hike in far to get to the rappel you want to set up. In this case, I would go for a rope of a thicker diameter, somewhere around 11 mm. An 11 mm rope will be more durable than a 9 mm rope, but will be heavier. If you’ll be going out on some weekends, and want to hike around a rappel spot, I’d be going for something much smaller in diameter, somewhere in the 9 mm or 10 mm range. How are the ​Strengths of Static Ropes Tested? The strength of a static rope is tested and measured in a way that is different from that of dynamic ropes. A dynamic rope is tested and measures based on the number of falls of a certain weight it is likely to be able to take. These are a called UIAA factor falls. A static rope, as with most other bits of climbing gear, is tested on its tensile strength, and will be measured in kilonewton (kN). This is measured by having a machine pull the rope at either end until it breaks. Often times, the weakest part of the rope is wherever knots are tied, so these tests are performed with knots in the rope. In such a high stakes game like rappelling, or anything you’ll do at heights, if something is mentioned and spoken of as an industry favorite, there is usually a pretty good reason. It has been tried and tested and put through the wringer by professionals, amateurs and even the military. It’s pulled over sharp rocks, thrown into the bottoms of caves, used to haul gear and in some cases, used to tow cars. 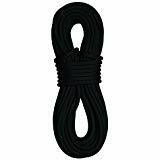 The ​ BlueWater Ropes BWII+ would be my choice for the best static rope for rappelling. It has low stretch, it’s strong and relatively light. But aside from the technical side of things, the BWII+ has been peer reviewed and loved by so many people, from cavers to tree climbers, that you really can’t go wrong.